Home Opinion Fr. John Flader Should Catholics celebrate Halloween? First of all, the name Halloween is Christian. It means, simply, hallows evening, saints evening, and it refers to the vigil of All Hallows Day, All Saints Day, celebrated on November 1. “Hallow” is an old English word for saint. We use the word in the Our Father when we say “hallowed be thy name”, may your name be held holy. As I wrote in an earlier column, the feast of All Saints has been celebrated on 1 November since the pontificate of Pope Gregory III (731-741). In 732 that pope consecrated a chapel in St Peter’s Basilica in Rome dedicated to all the saints, and he fixed the annual celebration for 1 November. A century later Pope Gregory IV (827-844) extended the feast to the universal Church and it has been celebrated on 1 November ever since (cf J. Flader, Question Time 2, q. 274). But why the witches and goblins, pumpkins lit up by a candle and trick-or-treating? For this we have to go back to the early Celts. The ancient Celtic peoples of Ireland, Scotland, Wales and Brittany celebrated on 1 November the beginning of the new year and the coming of winter. On the night before the new year they celebrated the festival of Samhain, the Lord of the Dead. 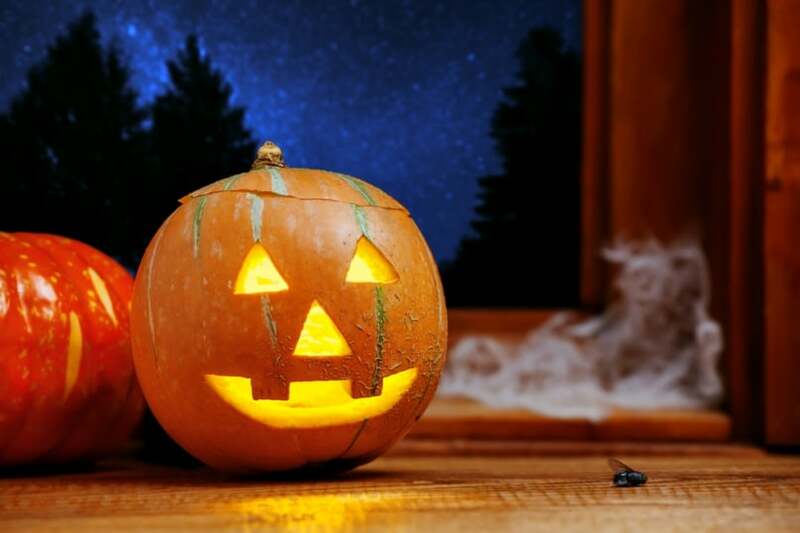 As regards the custom of children going from door to door asking for lollies and other types of food, commonly known as trick-or-treating, it may have its origins in an Irish custom that goes back hundreds of years. Groups of farmers would go door-to-door collecting food and other items for a village feast and bonfire. Those who gave food were assured of prosperity and those who did not were threatened with bad luck. It seems that the Irish immigrants to the United States in the 19th century took this custom with them and so trick-or-treating came to be associated with Halloween. As a boy I grew up with the custom in the US, where it was completely harmless and lots of fun for everyone. But reflecting on it later in life I have come to question the aspect of playing a trick on people who did not give treats. This could consist in rubbing their windows with a bar of soap or other equally harmless acts.